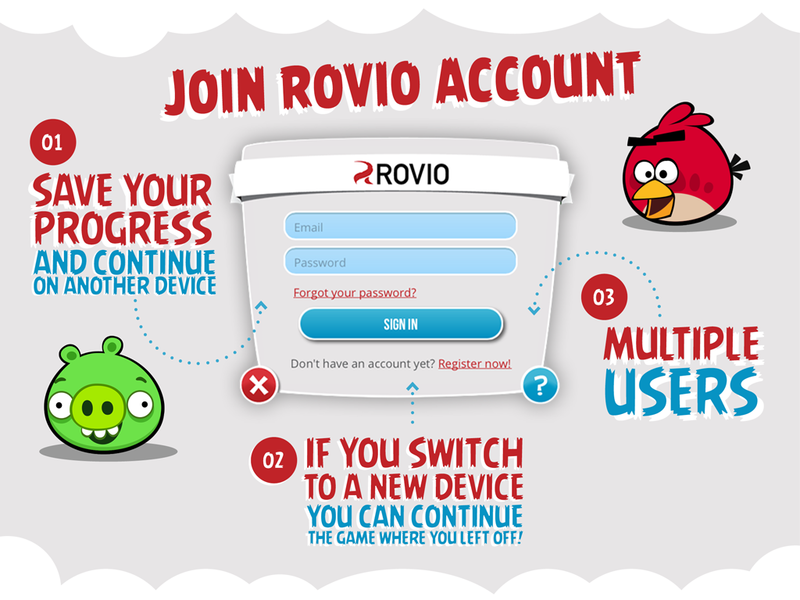 This morning, Rovio announced the availability of their new cloud-based save system, Rovio Account, for Android and iOS. With an account, players can finally save their game data to the cloud, with the ability to access their data on any number of devices. This also allows for multiple accounts on the same device, that way you don’t have to worry about overwriting anyone else’s data. The service is currently only available for the OG Angry Birds game, as well The Croods. Rovio states more titles are coming soon and we’ll keep you posted as they are announced.